New guidance from the Council of Europe could help European governments refocus on the kind of alternatives that really work to reduce harmful and expensive immigration detention. A detailed and practical guide, it uses a broad understanding of alternatives to immigration detention, “across a range of non-restrictive and restrictive options, in order to consider a wider range of practices that can help states avoid the use of detention in the context of migration”. The Analysis of the legal and practical aspects of effective alternatives to detention in the context of migration was adopted by representatives of all forty-seven member States of the Council of Europe, through its foremost inter-governmental human rights body, the Steering Committee on Human Rights. 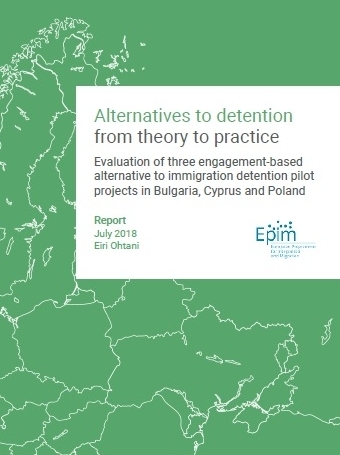 It analyses the European and international standards relevant to alternatives to detention and provides guidance on the practical aspects of implementing effective alternatives, recognising persisting challenges in this field. Safeguard the dignity and fundamental rights of the persons concerned. 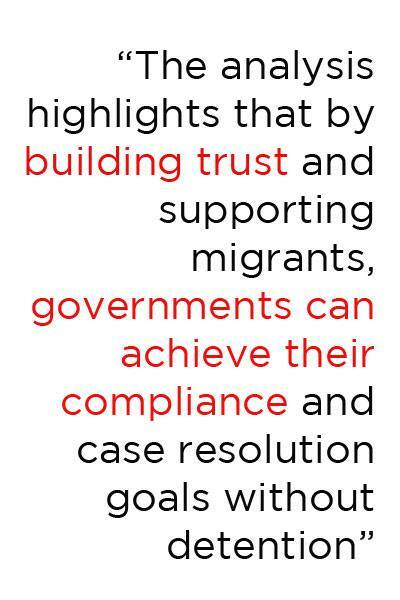 This holistic approach to migration systems helps move beyond the traditional focus in Europe on types of risks and conditions, to understand the factors that help achieve government objectives while also ensuring the rights and welfare of migrants. The Analysis is the result of over a year’s work carried out by Council of Europe’s Drafting Group on Migration and Human Rights (CDDH-MIG) in 2016 – 2017. In terms of follow-up, it suggests developing a practical and user-friendly handbook for authorities on effectively implementing alternatives to immigration detention as a next step to this work.